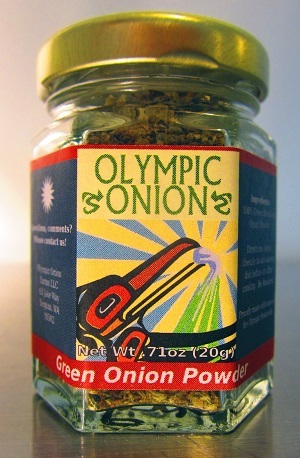 Can't find Olympic Onion Green Onion Powder blends in your part of the country? As you can see from the Recipe Idea page from all our fans, Green Onion Powder is very popular and rare as a cooking spice. However, what you may not realize is that there isn’t anything like this offered on any of the spice racks at your local grocery stores. Thousands of customers love our Green Onion Powder Blends, and tourist eat it up too. As a regionally produced product from the Olympic Peninsula, our Green Onion Powder Blends travel easily back home with you, and it makes a great gift to give to friends from your travels to the Pacific Northwest.